Caframo's BDC 3030 series stirrer handles high volume (60 L)/ high viscosity (50,000 cps) stirring as easily as dispersing and homogenizing. We are a Caframo approved vendor. Please note the 220V version of BDC 3030 shown here is supplied with the European "Type F" (Schuko) style plug. Any attempt to run 220V Euro version on US power supply will void all warranties. Caframo’s BDC 3030 series high torque stirrers are designed and engineered specifically to meet the demands of continuous use. The heart of the BDC line is the high performance Brushless Direct Current (BDC) motor. A unique two speed transmission in the BDC 3030 provides incredible amounts of power. Caframo stirrers are quiet, dependable, maintenance free and ideal for continuous use. 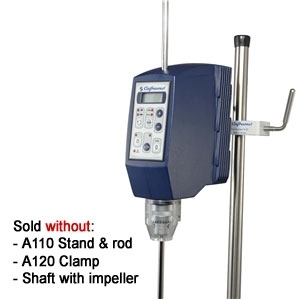 Overhead stirrer motor, chuck, chuck guard, chuck key, power cord, manual in four languages (English, French, Spanish and German), calibration certificate and three year warranty. Expect to be impressed! 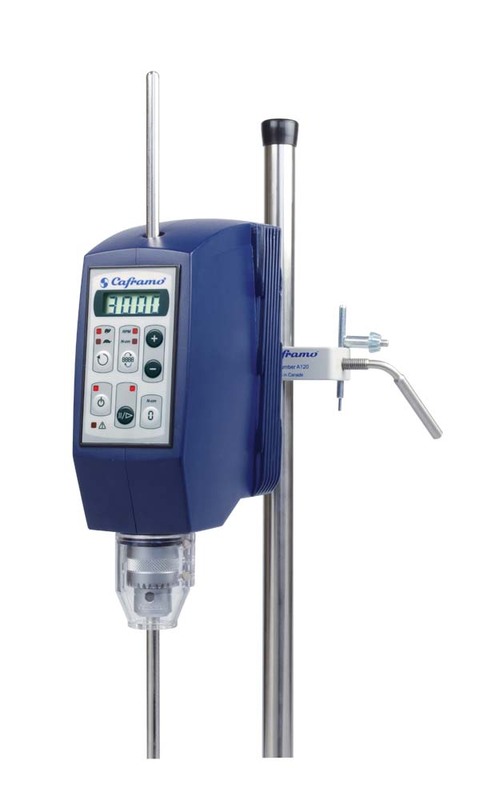 Caframo overhead stirrers have the power to mix viscous creams, gels emulsions and surfactants. Personal care product, flavour and fragrance companies use Caframo stirrers in their locations in California, New York, New Jersey, Dallas, Montreal and Toronto.